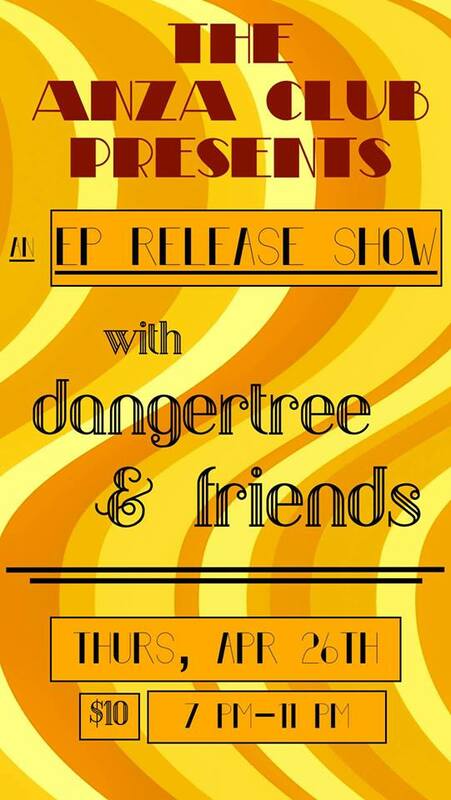 Dangertree EP Release Show // with friends! ... the AnzaClub Vancouver presents an EP RELEASE/MINI-TOUR KICKOFF SHOW! ... Yes! We can't believe it either! Come join us at the end of April to celebrate dangertree's upcoming EP "Strange Thing," set to release online the following day. Or, if it's more enticing, come to say "see-ya-next-week" as we prepare for the mini-tour that will take us to the eastern reaches of this province. And if THAT doesn't get you going ... well, jeez -- at least come enjoy an earlier show on an evening warmer than today! There will be beer! dangertree offers an eclectic musical experience, from upbeat gypsy-rock numbers to groove-infused jams, that has proven to get audiences moving. Though new to the local scenario, the trio boasts a diverse performance history outside of the project that ensures a fresh, contagious energy. Jess Vaira's powerful yet graceful style grew naturally through years of performing jazz and folk music, until exploring tastes led her towards soul and reggae grooves, hip-hop hooks and loop pedals. As a solo artist her music is open, true, and resonates with beautiful clarity. Jesse Bentley offers a unique blend of reggae, rock, and soul with varying degrees of psychedelia. His debut full-length LP - recorded solo and released last winter under the title "Vin," - showcases his abilities as both a talented songwriter as well as a proficient multi-instrumentalist.